Jestr Events - Tonight's Entertainment: 5 New Exciting Entertainment Ideas for your Wedding! That’s right, a 10′ LED partying Robot! J-bot comes out when your dance floor is in full swing and takes your dance floor to the next level! He’s been programmed to be the life of the party. Your guests will take out their phones, take pictures, videos and all the selfies they can get. He lights up, dances and interacts with your crowd – they can even limbo through his legs! Popular add ons include CO2 canons, confetti guns, and even LED Foam sticks. Check it out here. Nothing is more engaging and interactive than magic! Magicians speak a universal language of fun and mystery. They are specially trained to amaze your audience close up or on stage. Why not book a magician during the cocktail hour? You literally hear the sound of amazement around the room when you have an illusionists mingling with your guests. Or why not book a 15 minute stage show and hearing your guests literally (not literally) having their having their minds blown. They are trained in sleight of hand, mentalism, card magic, pick pocketing and illusion. Check our the video here. Shadow dance what now? Shadow Dance Entrance. This is the world’s first Shadow Dance Bride and Groom Entrance. It involves a team of professional dancers telling the a story of two lovers finding each other. A customized routine to tell the love story of the bride and groom: where they met, their first date all the way to the proposal. It’s approximately 5-7 minutes long and ends with our dancers switching with the Bride and Groom so they can enter into their wedding. Check out the video here. What’s better than one musician? 3. Imagine three well dressed mysterious half masked musicians walk up to your table, they hand your table a customized playlist, you pick one…. and they start serenading you with your favourite song. Next thing you know you’re singing, clapping, and dancing along with these fun guys. 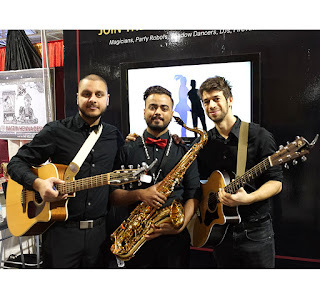 The Jestr Trio are the perfect addition to any cocktail hour or dinner service, with a huge range of music from Classics to Top 40 they’ve got something for every crowd. Check them out here. Have you considered a professional MC for your event? Have you considered your event not be boring? Then you’ve considered The Magician of Ceremonies. 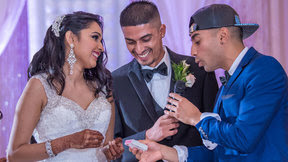 The Magician of Ceremonies service take care of your basic MC needs from introductions to formalities, this act also incorporates an exciting element of magic throughout the night. In between speeches and dinner courses the Magician of Ceremonies involves guests from around the room to take part in the magic and games. Booking this act involves a detailed meeting to discuss and create the itinerary. 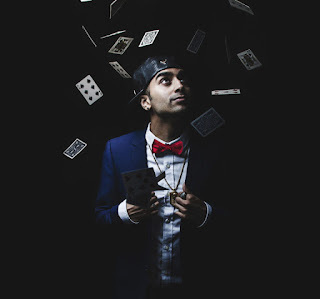 Learn more about the Magician of Ceremonies here. The Jestr Event team may just be winning the fight against boring, reach out them soon for 2018 availability and bookings.